Download the Southmead Community Plan using the links below. 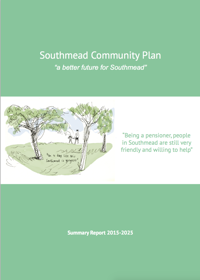 Community Plan 2015 (5MB) – aimed at Southmead stakeholders. Community Plan Summary 2015 (6.4MB) – a summary of the results aimed at Southmead residents.